All aboard please ... in a minute we will start taking a ride around the living room! Little darlings will enjoy being taken around in this lightweight and easily maneuvered doll pram. 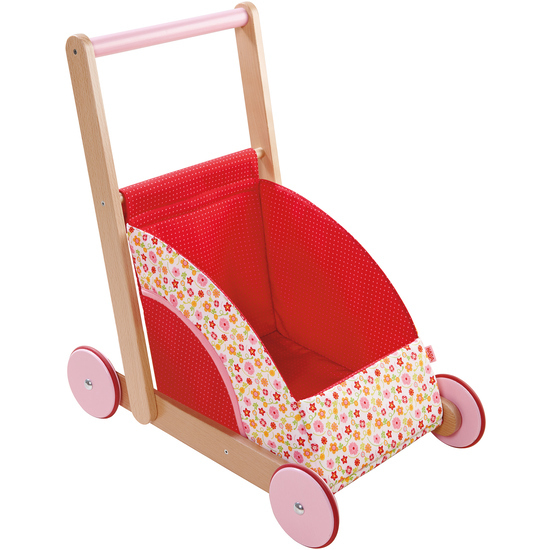 The pram is perfect for pushing and the front seat not only offers space for dolls and cuddly toys but also obviously for building blocks and any similar objects that need transported.